Breakout sessions as part of the convention program can inspire attendees, helping them polish their leadership skills and giving them new ideas for projects, fundraising, strengthening membership, and much more. 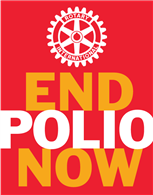 We know your Rotary network has many great initiatives, projects, and information to share with the Rotary world. As such, we’d like to officially invite you to submit your breakout session proposal for the 2019 Hamburg Convention! Help us build a breakout program that celebrates Rotary’s diversity! We are seeking sessions in English, French, German, Italian, Portuguese or Spanish. All proposals must be submitted online by 23:59 Chicago time (UTC-5) on Sunday, 30 September 2018. If you have any additional questions, please contact us at conventionbreakouts@rotary.org.